Romance anime are those type of shows involving two people having deep feelings for one another, who are willing to protect their love, or fight for it. 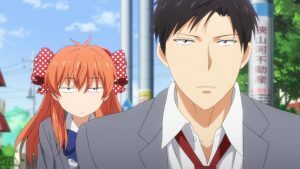 Not every romance anime can be classified as a shoujo, or a josei; yet, romance anime can come with different sub-genres. One of the sub-genres romance anime can have is the supernatural one. Adding supernatural elements to shows where two people struggle in the name of love can generate wonderful masterpieces that really make the viewers stick to the screen. In this ranking, we'll mention 10 among all the beautiful supernatural, romance anime out there. Stick with us until the end, and if you need more, be sure to read our original article below, as well! Dance with Devils is a reverse-harem where our protagonist gets courted by four handsome guys. It's pointless to say where the supernatural parts lie in this show: it revolves around otherworldly creatures such as devils and vampires, who look for an item to help them rule the entire world. 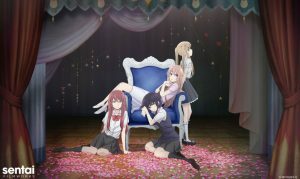 The romance part, on the other hand, lies in the effort that the four handsome guys put into catching Ritsuka's attention, each of them having feelings toward her. 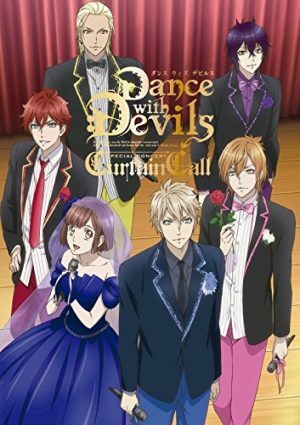 If you want a supernatural romance anime which is a feast for the eye, pick Dance with Devils... it won't fail you! 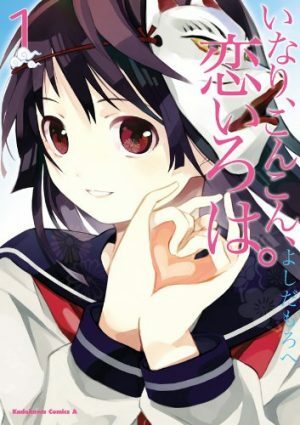 Aoi Tsubaki is a college student who has the ability to see the spirits which she inherited from her grandfather. When he died, Aoi started living on her own and her life changed drastically when a demon – an ogre called Oodanna – appeared before her eyes. It turned out that Aoi's grandfather had a debt with Oodanna, and now that debt has to be paid by Aoi, by becoming the demon's bride. She refuses with all her might, but in exchange, she offers to pay her grandfather's debt by working for the demon. 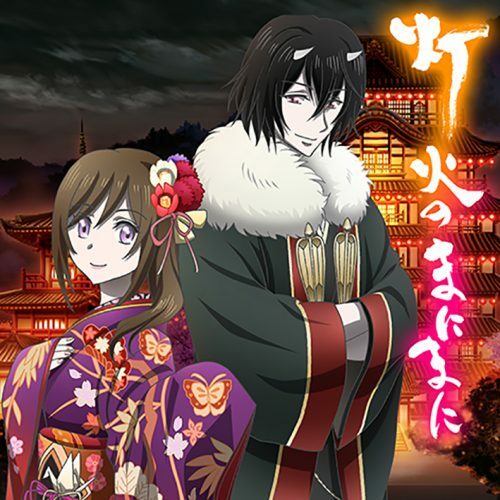 Kakuriyo no Yadomeshi is a funny supernatural, romance anime, revolving around yokai and a cute heroine who has to deal with them. So, if the supernatural part is all up to the yokai, and the ability of Aoi to see them, the romance is up to Oodanna and Aoi's relationship. While at first, Oodanna didn't think much of Aoi, he gradually became fond of her. There are numerous hints stating how both of them have deeper feelings toward each other. 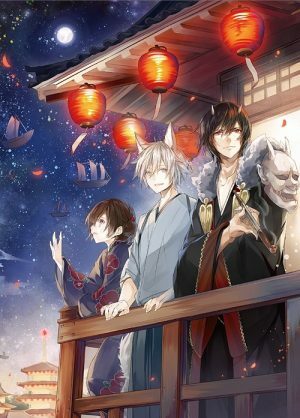 Give Kakuriyo no Yadomeshi a try, if you want to watch a supernatural, romance anime involving yokai! 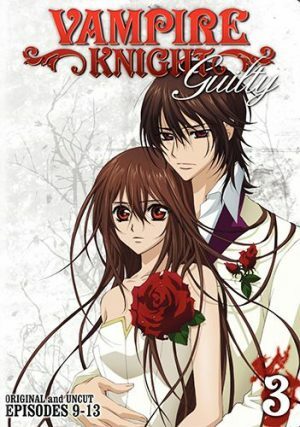 Vampire Knight, as the title suggests and seeing the premises, involve vampires. 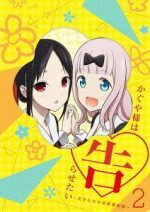 It is a supernatural, romance, shoujo anime, where our heroine has to deal with vampires' tantrums, and troubles they make. In Vampire Knight, the romance part is up to a love triangle involving Yuuki, Kaname and Zero. Yuuki has a crush on Kaname, but Zero has a crush on Yuuki, so the situation changes episode by episode. You should give it a try, as it is very engaging and full of twists and turns. 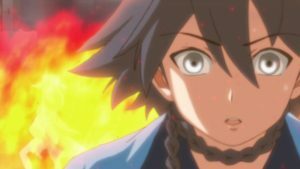 Ryousuke Hazuki has a crush on the floral shop's owner Rokka Shimao, who is older than him. Hoping to get closer to Rokka, Hazuki decided to get a part-time job at her shop, but little he knew about a huge problem interposing between the two. Atsushi Shimao was Rokka's husband, and he passed away three years prior; his ghost still dwells in Rokka's apartment, making Hazuki's life more than difficult. Natsuyuki Rendezvous is a deeply moving supernatural romance anime. If in the beginning the love triangle with a ghost may look funny, episode by episode we discover Rokka's loneliness, and what she went through due to her husband's illness. Not only that, we also realize Hazuki's patience and determination to win Rokka's heart. Natsuyuki Rendezvous is a show to be watched in one go, but please prepare tissues! Hakuouki takes place in 1860, and it revolves around a girl named Chizuru Yukimura. Her father – a doctor – had to leave for Kyoto. When her father's letters stopped coming, Chizuru disguised herself as a man, and left for Kyoto worried. Stepping into Kyoto though, she is attacked by a seemingly inhuman man, but soon rescued by a member of the Shinsengumi. Things take a turn for the worse when the man who saved her takes Chizuru to the Shinsengumi's base, to decide with the others whether kill her, or not. Hakuouki is a reverse harem, adapted from an otome game. As a supernatural romance show, it wields all the elements characterizing this peculiar genre. The supernatural part are how the Shinsengumi members who can turn to something similar to vampires. As for the romance part, although each of the guys feels a natural sympathy towards Chizuru, it's Hijikata the one who immediately catches Chizuru's attention. 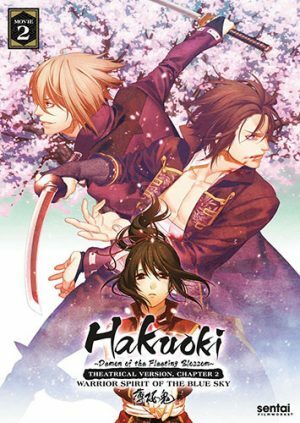 Give Hakuouki a try: it is bound to astonish you! Shirakiin Ririchiyo is tired of living alone; her parents eventually allow their teenage daughter to move out, on one condition, though. She has to live in the “Ayakashi Kan” mansion, accompanied by an agent of the Secret Service. 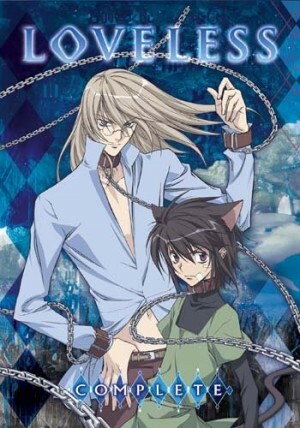 Soushi Miketsukami is a fox spirit, and the agent whose task is to protect Shirakiin. 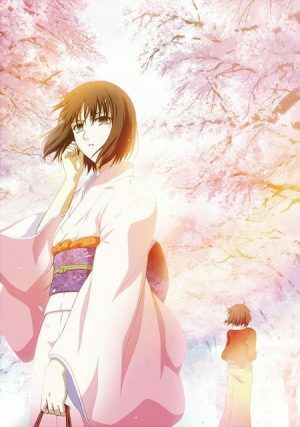 Although she refuses Soushi in the beginning, the situation immediately changes when she discovers that he is the yokai she had saved in the past. 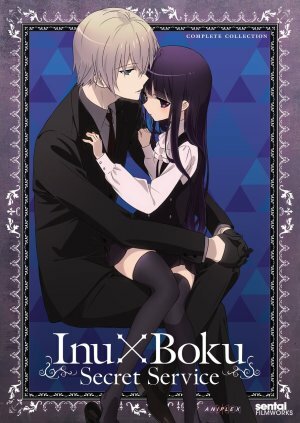 Inu x Boku SS is yet another supernatural, romance show, involving yokai. The supernatural part is related to the yokai and the abilities that each person living in the Ayakashi Kan mansion wields. As for the romance, Soushi and Shirakiin's relationship is very difficult in the beginning, but it's clear as daylight how Soushi is fond of her, and in time, he will be reciprocated. 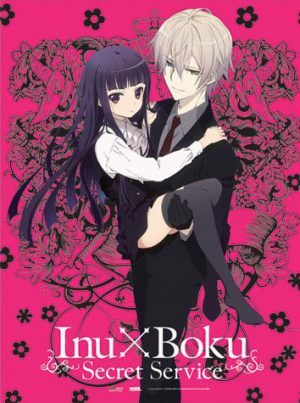 If you wish to enjoy a lighthearted shounen anime, with supernatural elements, Inu x Boku SS is what you're looking for! 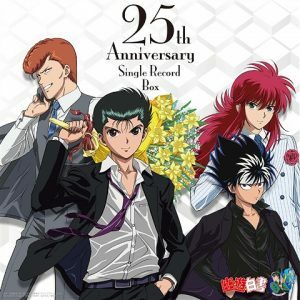 Determined to start a brand-new life, Ryuu Yamada entered the Suzaku High, where supposedly no one knows about his bad reputation. The life as a good boy though, doesn't suit Yamada, so after one boring year, he decides to revert to his old ways. Urara Shirahishi is a beautiful honor student, on the polar opposite of Yamada. One fated day the two of them meet, and due to a misstep, they fall down the stairs, while kissing accidentally. Then something magical happens: that kiss makes them switch bodies! That's how Yamada's boring life turns immediately lively. 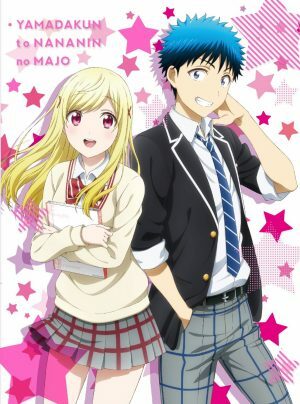 Yamada-kun to 7-nin no Majo is yet another shounen anime, with supernatural and romance elements. Yamada is a high school boy who finds himself dealing with witches, and their singular powers, while his life becomes even messier than before. On the other hand, the shy Urara Shirahishi will catch Yamada's attention. Their switching bodies will strengthen their bond, and they'll end up falling for each other. 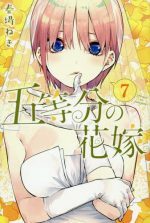 Among the supernatural romance shows in this ranking, Yamada-kun to 7-nin no Majo is the funniest, so you should totally give it a go if you like to laugh! Chise Hatori is a 15-year-old Japanese girl, who was sold at an auction. The one who bought her was a tall, masked man, and Chise was happy enough to finally have a home to go back to, after being abandoned and ridiculed by her relatives. 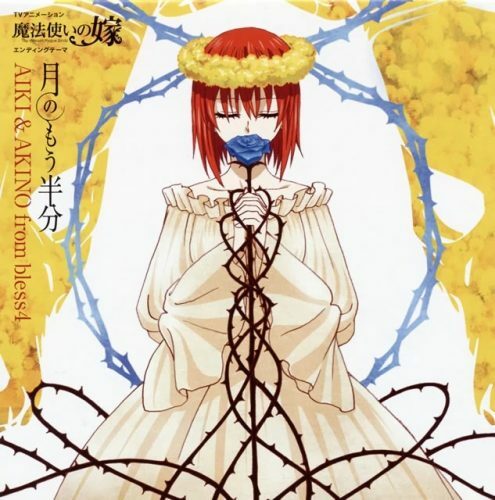 The masked man takes Chise to a study and reveals his name: he is Elias Ainsworth, a magus who right after, takes her in England via teleportation. There, Chise begins her path to become the magus' apprentice and future bride. 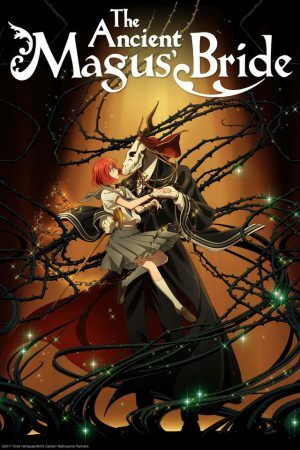 Mahoutsukai no Yome is a super popular supernatural romance anime, and it is a shounen. It's useless to point out where the supernatural parts lie, as this story revolves around magic from beginning to end. As for the romance part, though, it's very interesting to see how Elias–who is initially unable to relate to humans–gradually develops deep feelings toward his apprentice, Chise. This show is absolutely worth watching, and you definitely shouldn't miss this out! Kraft Lawrence is a young merchant wandering here and there with his cart, hoping to gain some money. One day, he has a fated encounter with a beautiful girl, with wolf ears and a tail. She is Holo, a wolf harvest deity who longs for the northern lands of Yoitsu where she came from. That's why she decides to join Lawrence as he travels around the countryside, using her abilities in order to help him with his job as a merchant. 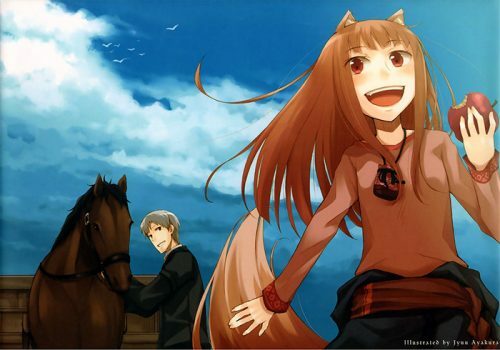 Ookami to Koushinryou is a wonderful supernatural romance and seinen anime. 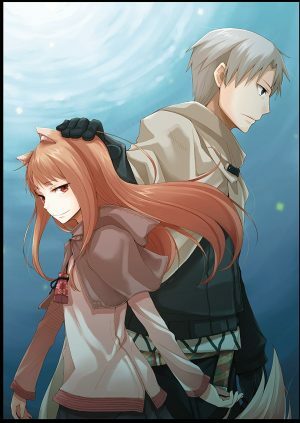 Holo is an otherworldly creature with the ability of evaluating a person's character, which turns out to be the trump card for Lawrence. But step by step, while getting to know each other better, Lawrence realizes that he may have deeper feelings towards Holo, who probably reciprocates him. Join Lawrence and Holo in their journey, they will make you laugh, and probably shed a tear as well! 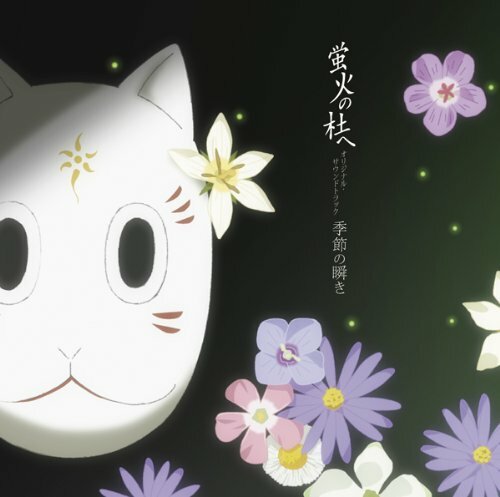 Hotarubi no Mori e is a rare gem among the supernatural, romance shows. 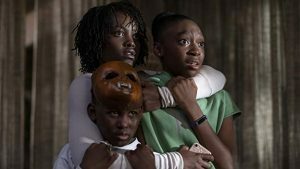 By the premises, it's easy to understand how a happy ending is not exactly what you should expect, yet for the themes, and the lighthearted way they're debated, it totally deserved our first position. Hotarubi no Mori e is light and frail as a feather; it is one of those shows that sinks into the viewers' hearts and there it lays for good. Step on this roller coaster of feels and enjoy the ride, without forgetting to bring tissues! 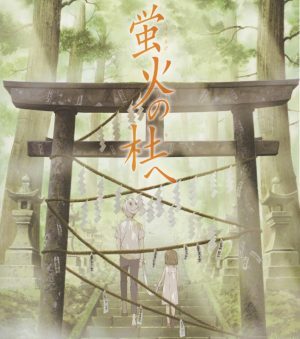 With the touching and moving Hotarubi no Mori e, our ranking about supernatural romance anime came to an end. Sadly, we could choose only ten, but we are aware that the world of anime is full of other amazing shows that would be worth a mention. By the way, we made sure to choose ten shows revolving around various themes, so that they can suit everyone's tastes! Now it's your turn: let us know what other supernatural, romance anime would be a good fit for this ranking in the comments below! See you next time. A lot of patterns characterize romance anime. 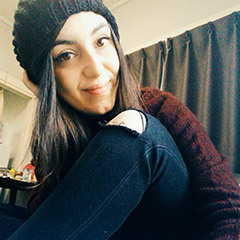 You can find a boy who falls in love at first sight with a beautiful and shy girl, you can find a girl who can't admit her feelings for a boy but keeps on acting flustered in front of him, or yet both characters fall in love with each other, but the road to confess their feelings becomes long and hard to face. In other romance anime, love remains one sided, or ends badly. It can even happen that it's a feeling never expressed with words, and yet it's there and you can feel it. 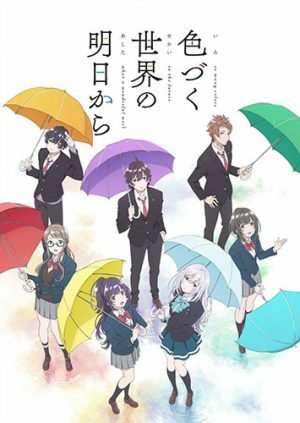 Whichever pattern a romance anime has, the unvaried thing combining all of them is the struggle and the efforts that each character goes through in the name of love. Romance anime are good, but when you add a bit of supernatural to the picture, things can get very interesting. 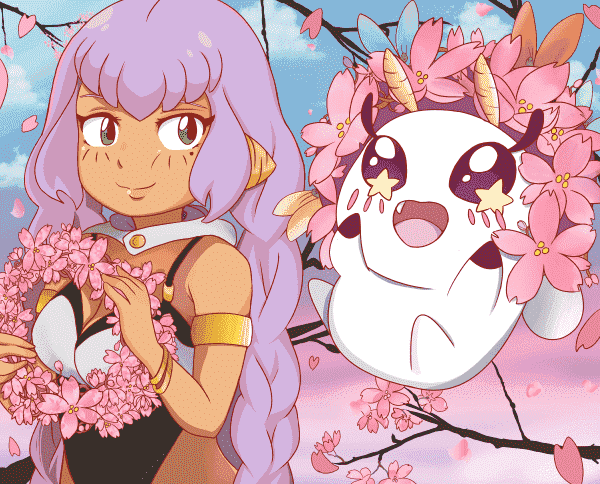 So if you like romance anime, but prefer non-conventional ones, this list is meant to recommend you 10 of the best we thought were worth a mention! Let's start with this wonderful story revolving around Tatsuya Shiba and Miyuki Shiba, two siblings who just entered the best high school for magicians: The First High School. Miyuki, who is talented and skilled at using magic, ended up attending the First Course, where students are known as “bloom”. 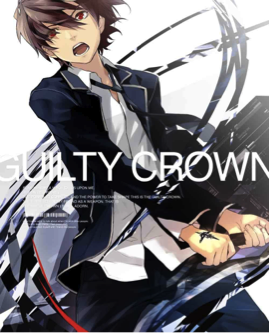 Tatsuya, whose magic skills are not so good, ended up in the Second Course. Second Course's students are called “weed”, an implicit way to say that is a course for the worst student. After these premises, don't expect a clumsy protagonist, nor a self-deprecating one. 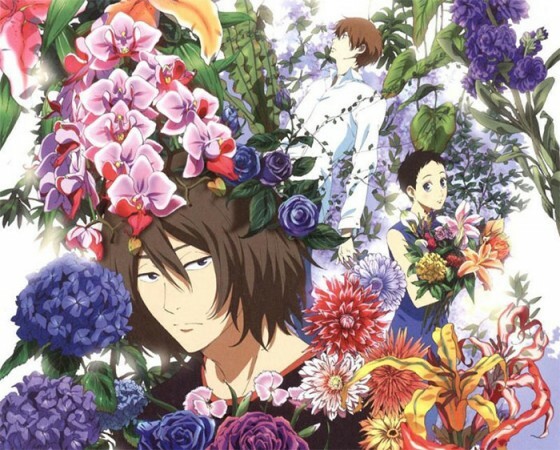 Tatsuya, in spite being a “weed”, will show everyone his worth, completely changing the caste system of the school, and gaining admiration and consent. The supernatural part, in this anime, is given by the magic. 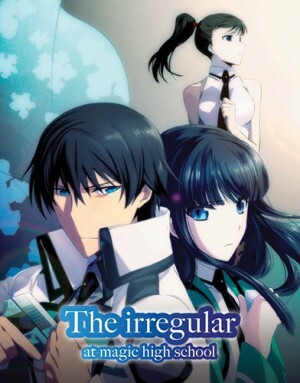 In Mahouka Koukou no Rettousei's world, magic has developed so much so that it became a science. Within this background, the romance part is mostly all up to Tatsuya's sister, Miyuki. She is in love with his brother, and it's a kind of love resulting in a deep admiration towards all what Tatsuya does. We can understand why, though: he is a “weed”, but through his actions, he manages to gain approval even among the “bloom” students. Miyuki loves him and keeps on showing her love in every way, like for example when someone belittles Tatsuya and she gets angry in his place, or in the way she defends him. She is on cloud nine whenever someone asks her about his brother, and gets jealous when Tatsuya interacts with other girls. Aside from Miyuki, to complete the romance frame, there are other characters finding love as well. 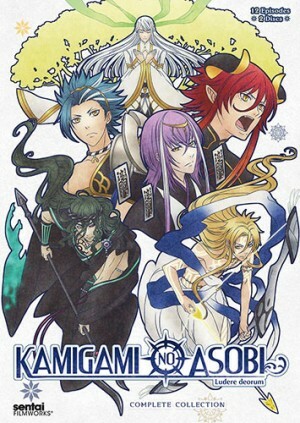 Let's go on with a story revolving around six beautiful gods. 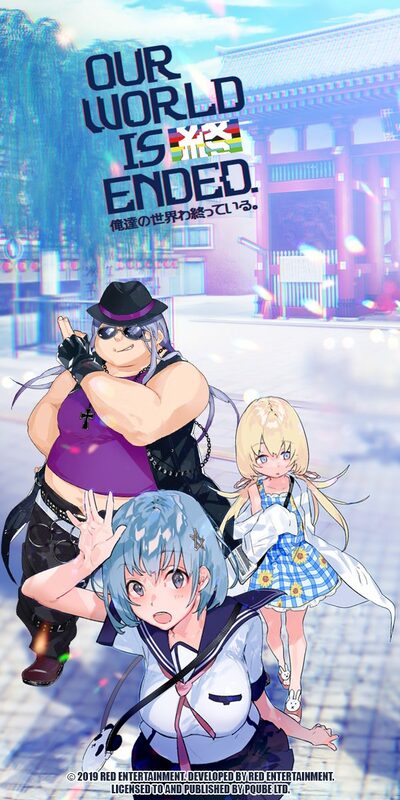 Protagonist of this story is Yui Kusanagi, a high school girl who wakes up in a strange, yet beautiful school, in a place she doesn't know, and suddenly is summoned by... Zeus. Yes, Zeus explains her the situation, and why she is there: since these six gods don't know what love means, act selfishly, or did something bad in the past, Yui’s task is to teach them what love is. This is how the adventure for the cute Yui starts! An experience that will change her life, and will teach her what even she didn't know about love. Is there a need to mention where the supernatural part lies? We're talking about a high school where gods attend lessons! They can even switch to their true god form, and you will see their powers and the way they deal with what they are. Yui has to teach them how to love, but it's difficult. Aside from Apollon and Balder, who instantly are infatuated by Yui, the other four gods are obstinate and don't want to befriend anyone. Yui will go through a lot of hardships, and slowly but surely, in the end she will manage to teach them the importance of creating bonds with others, and even how to face the scary things from the past. When the course ends, and everyone gets a degree, it's time to say “goodbye”, and that's when Yui will understand that she taught them love, while love was being taught to her! Here we have our 8th position, with a delicate and deep anime that can make you cry. 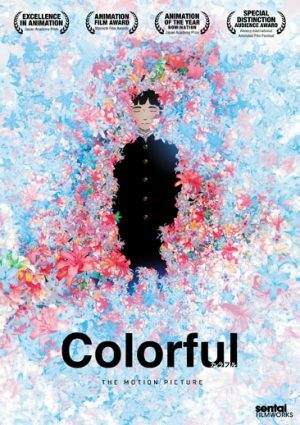 Aoyagi Ritsuka, a twelve-year-old boy, is in a very dark period of his life: his brother, Seimei, has been killed and the only family member remaining is an insane mother to deal with. It's when he meets Agatsumi Soubi, that Ritsuka's life changes. 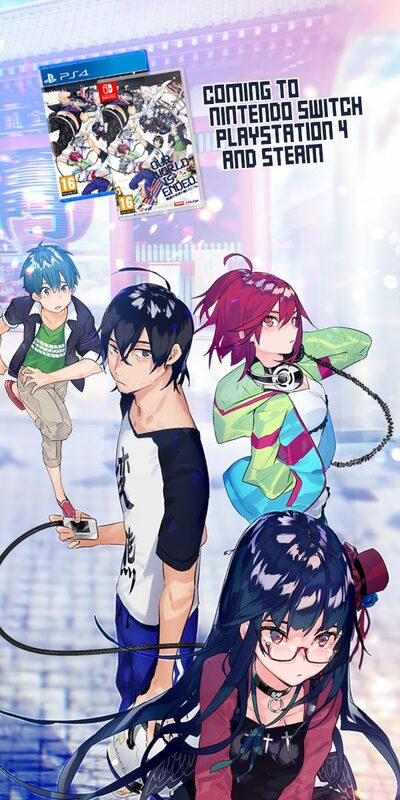 Soubi is a mysterious twenty-year-old guy who introduces Ritsuka to the world of fighters and sacrifices: two people with the same name fight together, one is the “fighter” and the other one is the “sacrifice”. Meaning one fights, while the other one protects. As he gets to know Soubi day after day, Ritsuka discovers that he and his dead brother had the same name – Beloved – and fought together. Ritsuka can't shake the feeling that Soubi knows more about his brother's past, while Soubi needs help to discover what actually happened to Seimei. 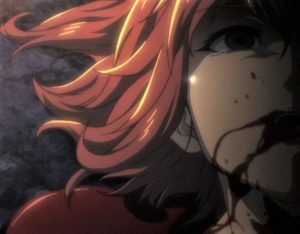 That's why when Soubi asks Ritsuka to become his “sacrifice”, even though they have a different name – Ritsuka's name is Loveless – Ritsuka accepts. This touching anime explores deeply the meaning of “love”, meant in all its aspects, and has a supernatural part given by the super-power that every couple develops. Ritsuka is at a difficult stage of his life, as his brother's killed. Soubi faced the death of his beloved comrade. As the two meet and decide to fight together, we slowly discover how much Soubi loved and admired Seimei, and how much he struggles to go on. While Ritsuka, on the other side, tries day after day to deal with his feelings changing. He knows that Soubi belonged to Seimei, but he feels something for him and it's difficult to accept it. Soubi, instead, although he cannot forget Seimei, starts to see in Ritsuka something that reminds him of Seimei. From the loss, a terrible tragedy that involved both, a beautiful feeling blossoms. 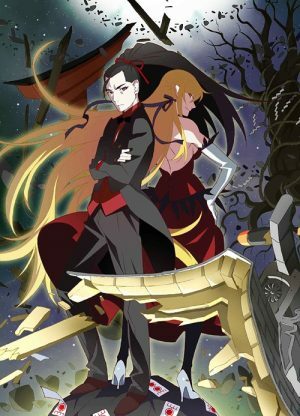 The final of this anime remains open, as the manga keeps on going, but if you are searching for a good, non-conventional, supernatural, romance anime, this is just the right choice! Let's move on to the 7th position with a twisted yet amazing story revolving around a lonely boy whose name is Yukiteru Amano. He isn't popular, nor funny. Nothing is peculiar about him, or worth saying. In his loneliness, he writes a diary on his phone, and speaks to his imaginary friends: Deus Ex Machina – the God of time and space – and his servant called Murmur. The situation changes when, one day, Yukiteru discovers that his phone is actually a future diary. 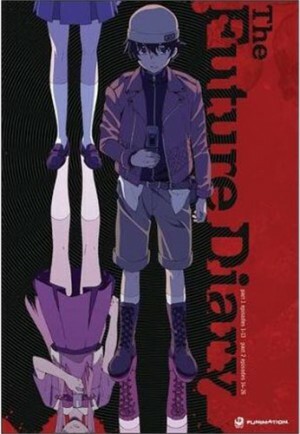 He, and other eleven future diary's holders, are summoned by Deus Ex Machina, who actually exists, and a deadly game begins. The eleven diary holders will have to kill each other, and the winner will become the new god of space and time! When in this messy situation, Yukiteru meets Yuno Gasai, things get even more interesting! Yuno Gasai is a “yandere”. You can learn more about yandere here (https://honeysanime.com/what-is-yandere-i-broke-your-legs-so-i-can-nurse-you-back-to-health-isnt-my-love-wonderful-2/). To Yuno, Yukiteru is an amazing boy. She sees in him what anyone else can't see. The feelings she has for him are so strong that she will be willing to do crazy things, in order to protect him and guarantee him the victory. She will become his shield, and will fight putting her life on the front line, while Yukiteru will do the only thing he can do: he will cry and hide behind her. This anime can keep you glued to the screen, with baited breath. The supernatural part is interesting as it shows time and space alterations, and the romance is all up to Yuno and his obsession for Yukiteru. Furthermore, Yuno is a character full of mystery, and it's impossible not to wonder what her true colors are. You will constantly have opposing feelings towards her: does she really love Yukiteru? Why is she doing this? Is she hiding something? Until the epic, unexpected ending, that will leave you with your mouth wide open! Yuuji Sakai is just your average high school boy with normal friends. His life is just a normal life, with nothing really interesting happening, as the days go by. That is, before his daily routine is destroyed by something that he would have never expected! One day, he and other people, are assaulted by a monster – Denizen – who can turn people into “torches” before finishing them off. When everything seems lost and he is about to give up hope, someone appears to save him. His savior is a mysterious girl with eyes and hair as red as fire, who manages to push the monster away with her sword! Yuuji doesn't know that this is just the beginning of a nightmare. In fact, the girl – Shana – will reveal to him a terrible truth: he is already dead and the life he is living is just fiction, and his time is running out! In this anime, romance and supernatural parts coexist perfectly. 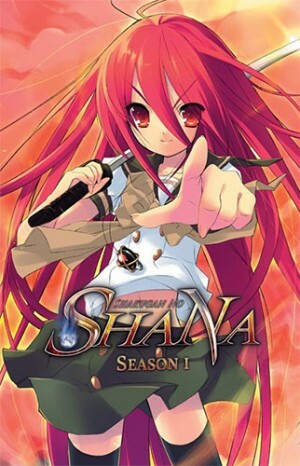 Shana fights against the Denizens and the other enemies with her magical sword, and helps and rescues Yuuji. She sticks to her mission loyally. Even though she acts all careless and is hot-tempered, and even though she seems not to stand Yuuji and his attachment to a life he has already lost, you can clearly understand she is in love with him. He, on the other side, seems incapable to understand a girl's feelings. Another important character in this anime is Kazumi Yoshida. She is in love with Yuuji, and struggles to try not to lose her beloved person, so much so that she will be willing to face a world she doesn't belong to, just to shorten the distance that has grown between them! Basically, this anime is about two people who despise their own existences: both with a painful past, which led them to feel lonely and not worth being loved. Both of them, year after year, have managed to create their own defenses. 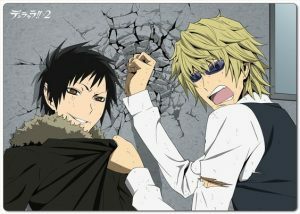 Ririchiyo becoming hot-tempered and careless, Miketsukami hiding behind a fake smile. This dramatic setting, is counterbalanced with gags and other characters who are funny and easygoing. The supernatural part, is given by the way every character can use supernatural powers; having spirits or demons living inside their bodies. Nevertheless, the most interesting thing, is the bond that will blossom between Miketsukami and Ririchiyo. 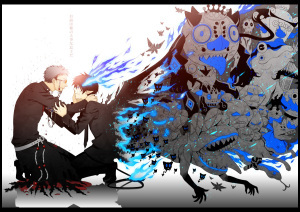 Their relationship will cure their inner wounds, and they will slowly grow fond of each other. Well, don't you agree it deserves this 5th position? It's the year 2039, and Japan is subjugated by the GHQ organization, after the “Lost Christmas”, a tragedy happened ten years before, resulting in the outbreak of the “Apocalypse Virus”. Opposing the GHQ, a resistance called “Undertaker” appears, led by Gai Tsutsugami. Ouma Shuu is our 17-year-old protagonist. 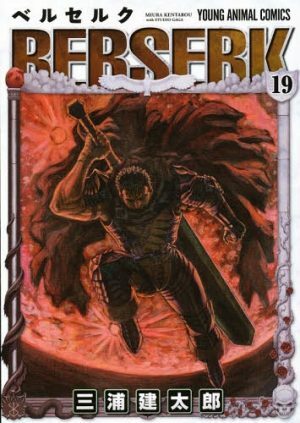 He has a peculiar ability – the Power of Kings – with whom he can extract weapons from other people's bodies, but he wants to stay out of trouble, so he hides his power. However, one day, he meets Inori Yuzuriha, a member of the resistance. His power can become useful for the resistance, so as unwilling as he can be, he will be dragged in a war that will put his life on the front line and will make him understand that without great sacrifice, nothing good can be born. What is eye-catching about this anime, is the way the feelings between Shuu and Inori slowly grow. In the beginning, you can only feel that Inori is using Shuu, taking advantage of his admiration for her. Slowly but surely, everything starts to change. Inori is a dramatic character, almost impossible to figure out. Nevertheless, Shuu will manage to find a place in her heart, and she will do the impossible to protect him, going as far as to do the greatest sacrifice. As for the supernatural part, this anime is full of action moments, where Shuu will use his powers and will extract every kind of weapon from his friend’s bodies. The interesting part is that every weapon represents the true essence of the person, so what Shuu does by extracting weapons is to show and to see a person's true colors. 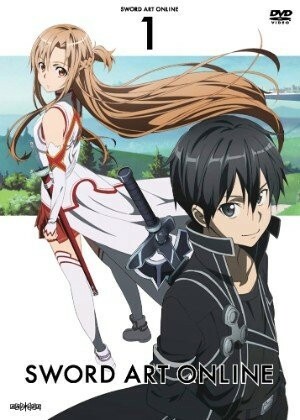 When in the year 2022, a role-playing game called Sword Art Online is announced, Kazuto Kirigaya – alias Kirito – who is a game enthusiast, happens to be among the few lucky ones to be able to play the game before it's launched. This game is developed in a particular way: via “NerveGear” – a new technology – it is possible to control the avatar using only thoughts. In the game's world, everything's amazing: the medieval setting, the weapons, the monsters. What's more, everything seems incredibly real. 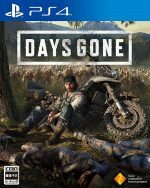 Kirito's life turns into a nightmare when he discovers a shocking truth: the only way to log out, is finishing the game, and a game over means the death of the player. Kirito will have to act smart, create his own party and fight to get out of the nightmare. 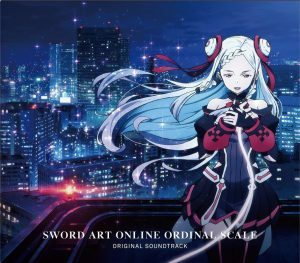 The situation will take an interesting turn when he meets Asuna Yuuki, the girl who leads a group trying to escape this terrible game. 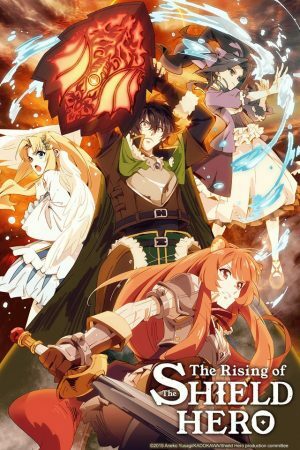 In this anime, every common game player who just loves to play games, turns into an actual warrior. The scarier thing is the thought that a game over, corresponds to an actual death. That's why everyone will fight angrily to escape and go back to everyday life. It goes without saying that from the moment our protagonist logs into Sword Art Online's world, everything turns out to be supernatural. In fact, fights, monsters, and power ups will characterize the entire story. 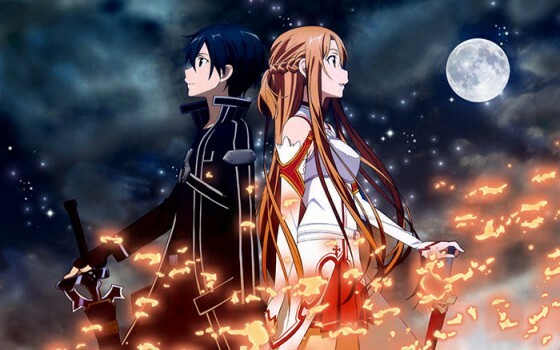 As for the romance part, you will see a deep feeling growing between Kirito and Asuna. They will try to protect each other, and since the beginning, a special bond will blossom. Whenever one will feel down, the other one will become the reason to fight for! Through struggles, trouble, and a mission that seems everything but possible to be accomplished, their bond will guide them through the way out, with an ending that will touch you deeply! And here we are with our 2nd position. We really had to give it to this little masterpiece among the supernatural, romance anime! 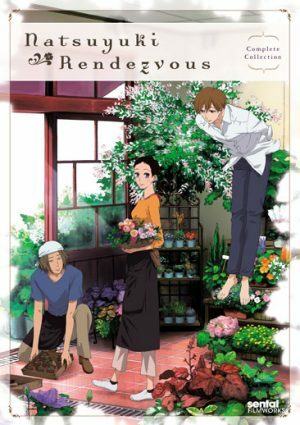 Natsuyuki Rendezvous is a touching story, revolving around Rokka – a florist –, Hazuki – who falls in love with her at first sight – and... Shimao, her dead husband. 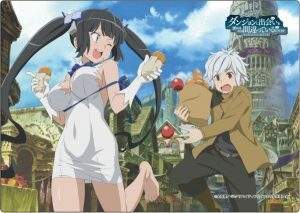 Hazuki, hoping to be able to start something with the cute Rokka, will become a part-timer to her flower shop, but what he doesn't know is that Shimao, Rokka's dead husband, as far as he's dead, left his spirit in Rokka's home. Hazuki is the only one able to see him, but this will become a strange love triangle where Shimao will do anything to push Hazuki away. 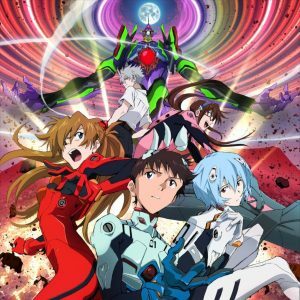 In spite of the premises, that make this story look like a crazy comedy out of the ordinary, this anime will shake and touch you deeply. Love, in this anime, is treated in all its aspects. Shimao loved Rokka so much so that he couldn't leave her, even though he is gone. Hazuki is in love with Rokka, and will have to compete with a person who is physically gone, but whose spirit is still there, and Rokka... Rokka is as sweet as honey. She is a woman who lost her husband due to a bad illness, and yet she managed to keep herself together. She is still grieving, so she has contrasting feelings towards Hazuki, because she feels like betraying Shimao. This anime tells an important thing; love is stronger than anything. Rokka realizes that even though it doesn't feel right, it's possible to move on after a loss; Hazuki will learn that he cannot be a substitute for Shimao, so it's useless to compete; and Shimao... Will realize that he just wants Rokka to be happy, and will watch over her from afar. Here we have our 1st position! 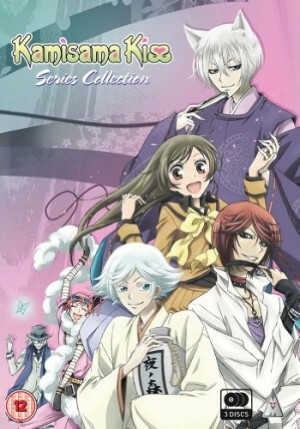 Kamisama Kiss is a cute story revolving around a girl, Nanami Momozono, who found herself in a terrible situation. Her father, who is a gambler, one day disappears from her life in order to evade his debts. His father's departure, leaves Nanami without a home and without money, but Nanami is not the type to remain crying in loneliness! When she saves a mysterious man – Mikage – from a dog, seeing her situation, he decides to give her his home. She can't believe her luck! She follows the indications Mikage gave her, and when she arrives... Nanami realizes that the place is a shrine! While she thinks she's been tricked, a boy with fox's ears appears in front of her! He is Mikage's former servant, Tomoe. From there on, some circumstances will lead Nanami to become the shrine's Land God, and with her new role, trouble will arise! 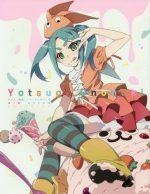 This sweet anime has the capacity to make you laugh like crazy, and yet touch you deeply. Seeing Nanami's daily life, you can't help but cheering for her when she is bullied at school, or when she remembers her past. However, her sparkling character will give you very hilarious moments! When she has missions as the Land God, she will meet the other gods and, in spite being a mere human being, she will demonstrate that she is worth that role. 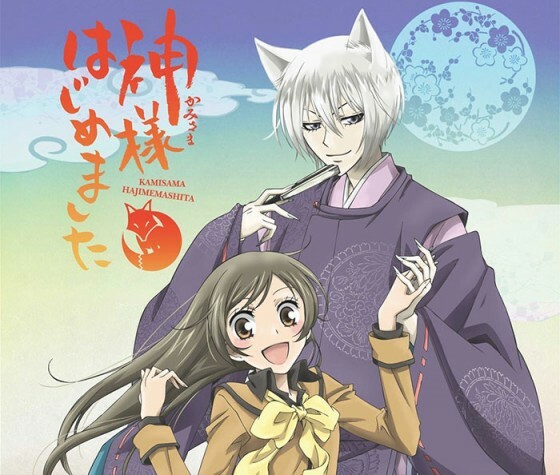 Living with Tomoe, she will develop a tender feeling towards him, and even though in the beginning her love will be one sided, she will never lose her resolution. Tomoe, on the other hand, will try to deny her feelings for her, but something is blooming within him as well. His love will be less flashy than Nanami's, but he will be an ally, a friend, and a shield for her. So, what do you think? Didn't it deserve our 1st position? And so, our list comes to an end. We know, we know there are tons of other romance supernatural anime that were worth our ranking, but we could choose only 10. We chose these, among all of them, because we believe that they have various contexts and can be liked by everyone according to their own tastes. If you have recommendations, or any remark, please don't forget to comment below and let us know!